One of the challenges of astronomy is that we are pretty limited in our choice of vantage point. Even space-based telescopes don’t stray far from Earth’s orbit, so basically our view of the cosmos is limited to the location of our solar system. In some ways, it is one of the worst locations to be located. This presents some serious challenges for observational astronomers. One way to deal with these challenges is to label a large patch of sky the Zone of Avoidance. Because we are located in the plane of the Milky Way, and about 30,000 light years from the center, we don’t have a completely unobscured view of the universe. In particular, the central region of our galaxy is so filled with gas and dust that it pretty much blocks our view of everything beyond our galaxy in that direction. Fortunately all is not lost, because we have a pretty good view of the universe in other directions. It does, however, mean we have to be a bit careful when looking at data such as sky surveys. Hence the need for a zone of avoidance. For example, when we map out the locations of galaxies, we don’t find as many in the plane of our galaxy. This isn’t because there is some galaxy-free void that happens to align with our galaxy, but rather because the gas and dust in the plane of the Milky Way tends to obscure galaxies, so we see less of them. A map of galaxies with the zone of avoidance indicated. Credit: P. A. Woudt and R. C. Kraan-Korteweg. This might seem obvious, but it means we need to be careful when analyzing the data we have. We don’t want to count the absence of visible galaxies in the galactic plane as a lack of galaxies, so we mark out a zone of avoidance, which basically recognizes that the region is poor data. The zone of avoidance can vary depending on what wavelengths you are using, or what you are trying to see. We don’t always avoid that region. Sometimes we specifically try to look at data in the heart of the zone, because there are some very interesting things going on in that direction. Dear Brian, could you please recommend me a book in astronomy which is appropriate for 16-17 years old children (they are very good at maths and physics), has a clear, logical structure, and starts at the very basic level? Given their age and background, I would probably say an introductory college-level astronomy textbook. It wouldn’t assume higher level knowledge, and they should be able to handle the math. The one downside is most of them are pretty expensive, at least here in the US (not sure about prices in Hungary). One popular text is Horizons, by Michael Seed. My suggestion is to look for what could be gotten through a library or used to cut down on cost. Dear Brian, thank you for your quick and very useful answer! My whole family reads your posts, that’s why my elder children want to look for a good book to acquire the basics for to be able to understand your posts even better. Have a nice day! 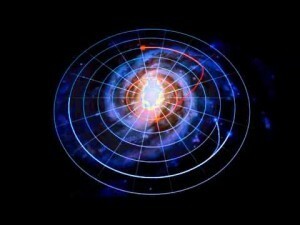 Zone of avoidance, what is percentage of universe we know about. Eg 10%, 20% or30%. I believe we still have long way to go. We also know that universe is expanding.